JBL produced loudspeakers that become the standard monitors for the US recording industry in the history of American hi fidelity and became ubiquitous not only in the U.S. recording industry and in control studio rooms around the world. 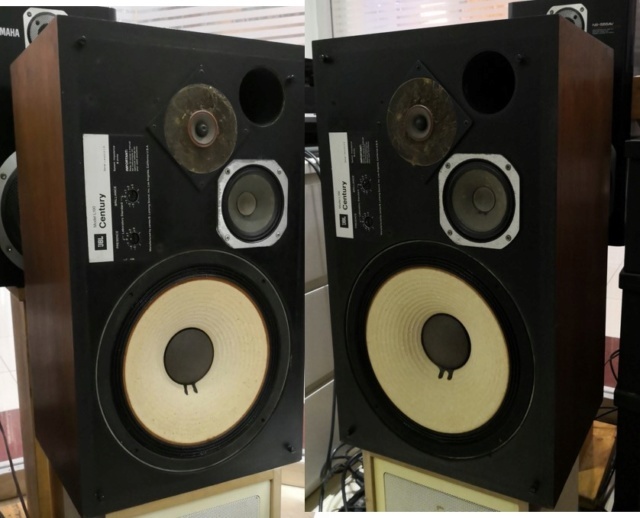 At the same time, many audiophiles were using their JBL Studio Monitors for home listening despite their less than decor friendly fridge-like designs. Sensing a mass market for domestic applications while still retaining the quality for which their studio monitors were known for. JBL decided to reconfigure studio-styled monitors for domestic acceptance, and debuted the L100 Century. By all counts, the JBL L100 Century went on to become not only JBL's most successful product up to that time but, from all indications, the best-selling loudspeaker system of the Golden Era of high-fidelity. Then recently in 2018, JBL reissued the JBL L100 Classic, a modern take on a time-honored legend and debuted the L100 Classic at the 2018 CES. The reissue of this iconic speaker galvanized JBL enthusiasts in the United States and elsewhere as tthey all heralded the return of a classic true domestic version of their famous studio monitors. The reissue JBL L100 Classic retails for a whopping USD4000! This re-issue kindled a massive search for the L100 Century of old as the new speakers were out of the reach of many. Rare to find in the pre-owned market, here is a good specimen of what true fidelity is all about. All drivers in good condition including their surrounds. A pair of the tweeter face-plate diffuser-surrounds have been ordered and will be included in the price.